The innovative MRS-Technology™ is the basis of the measurement of product parameters by LUMiFlector. 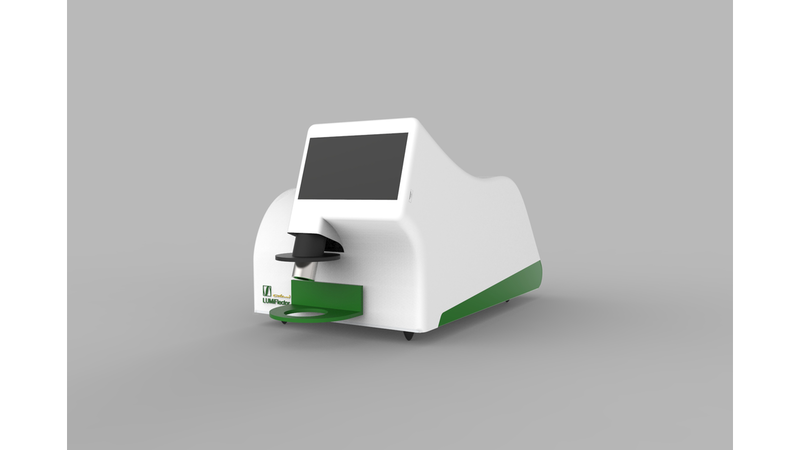 This technology determines from sample specific optical properties the sample composition. MRS-Technology represents „Multi Reflectance Spectroscopy“. Light of different wavelengths is send into the sample. After interaction with scattering, reflecting and flueorescing components the returned light is collected at different angles and further processed. More than 100 measuring signals are recorded, from which LUM performs the optimum calibration for your application. This tailor-made calibration is product specific. At any time extensions for new products easily can be made. Due to MRS-Technology the LUMiFlector operation is extremly flexible and fast. An easy handling is given. Inline LUMiFlector is directly connceted with the pipe. The light is sent through a protection window into the flowing product, there is no direct sample contact nor contamination. The lab version of the LUMiFlector is placed either at-line directly besides the production line or in the QA/QC lab. Further application fields for LUMiFlector include pharmaceutical products, medical nutrition and biotechnology.